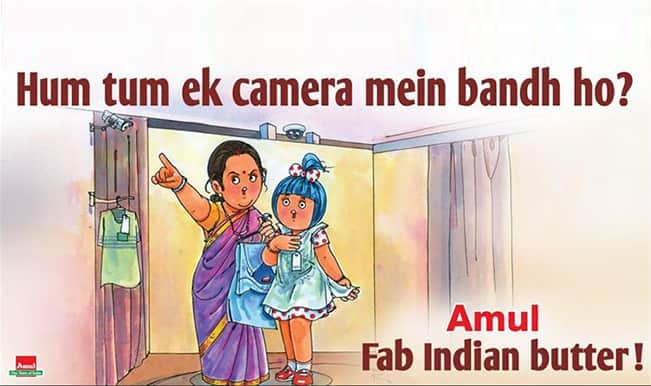 The Amul Butter ad featuring the Amul girl has been appearing on billboards and newspapers for years. Advertising a generic commodity like butter is difficult but Amul hit the nail on the head by using cleverly thought out puns on current events of the day. So what's buzzing in our heads today? As netizens, it's now #NetNeutrality and the butter brand hasn't shied away from making its sentiments known - complete with some cheeky puns while reminding us how butter and toast are absolutely divine. Amul Butter has been there through thick and thin, always advertising with themes ranging from movies to just about anything! Take a look.